Electricity is something that we have all become very dependent on in our society. Computers, cell phones, lights, house heating and air conditioning, and so on. Now electricity fully powers our vehicles too. 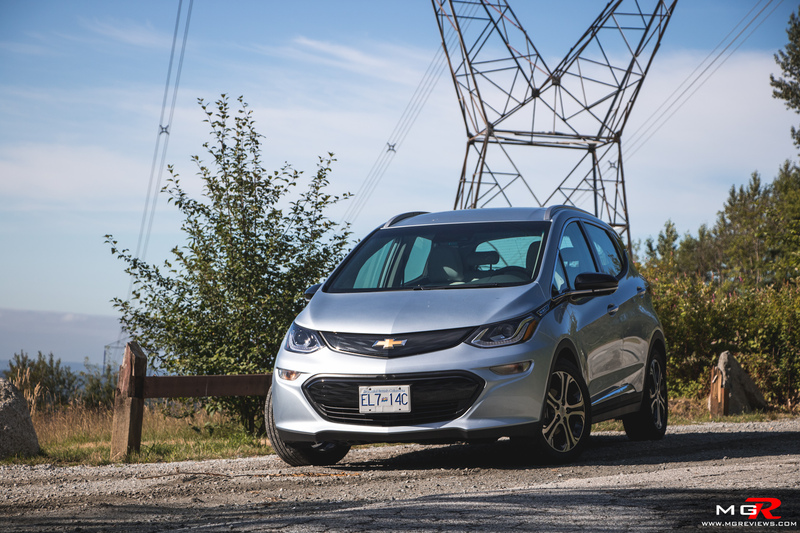 The 2018 Chevrolet bolt is among the first electric vehicles (EV) to provide a long driving range with a relatively affordable price. Engine – Powering the front wheels only is a 200hp and 266 lb-ft of torque electric motor. 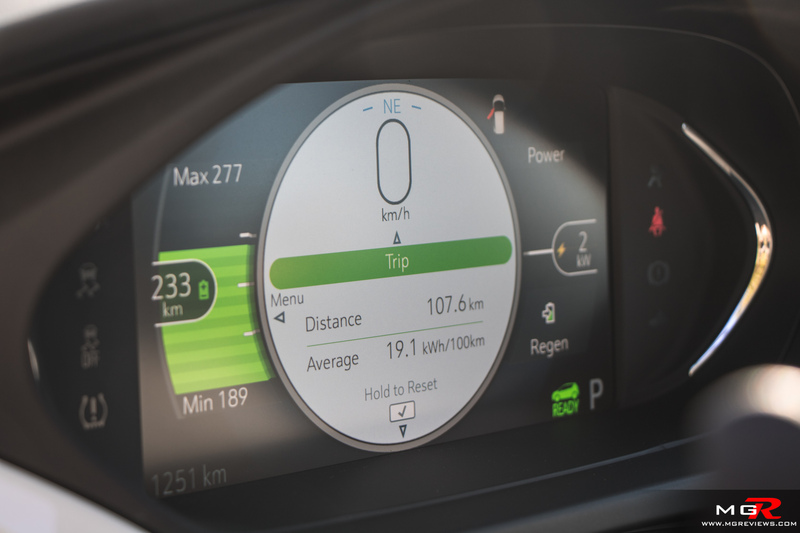 Although the Chevy Bolt tips the scales at just over 1,600kg, the instant torque from the electric motor provides pretty brisk acceleration. 0-100km/h is dealt with in about 6.5 seconds which is sports car territory. Another benefit to the instant torque of the motor is that overtaking another vehicle on a highway is a breeze. There’s no hesitation whatsoever when you press on the accelerator pedal. 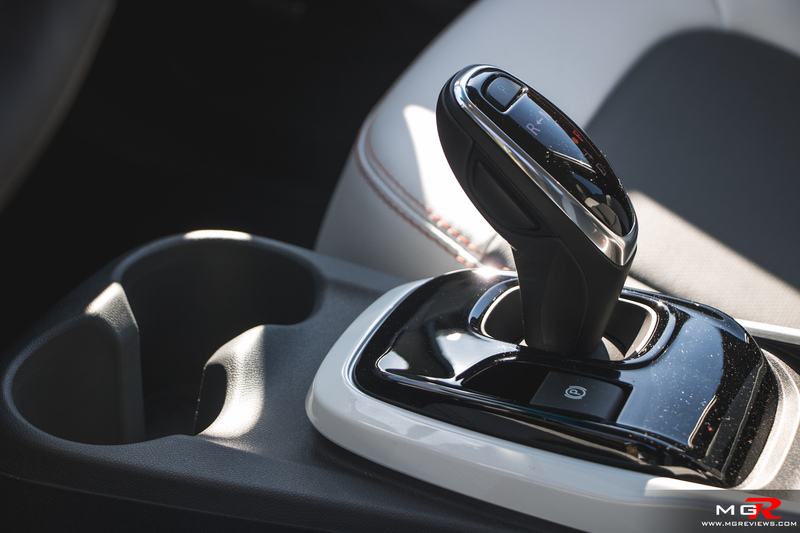 Transmission – It has a direct drive, 1-speed transmission with a final drive ratio of 7.05:1. Not much to say about this since there is no shifting. Batteries & Charging – The electric motor gets its juice from a 60 kWh lithium-ion battery pack that is underneath the floor of the Bolt. It can be charged from a 120V wall outlet, a 240V charging station, or a DC fast charge station. 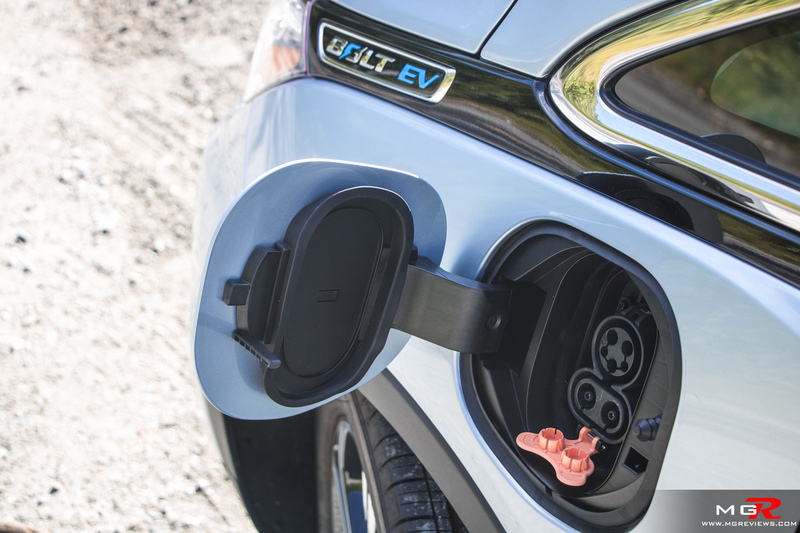 From a 120V outlet, be ready to wait for over 50 hours to fully charge the Chevrolet Bolt. That’s why Chevrolet recommends owners to purchase a 240V charging station and professionally get it installed in their garages. This will fully charge the Bolt is about 9.5 hours. But the DC fast charging station is faster yet with a full charge being completed in approximately 2 hours. 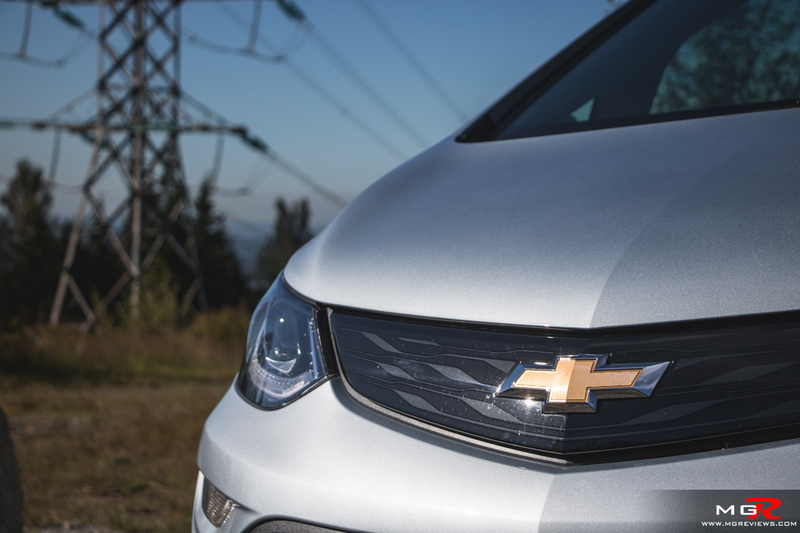 Once the car is fully charged, Chevy claims a range of 383km. But that number depends on the temperature and your driving style. It can be more or it can be less by 20-30km in either direction. 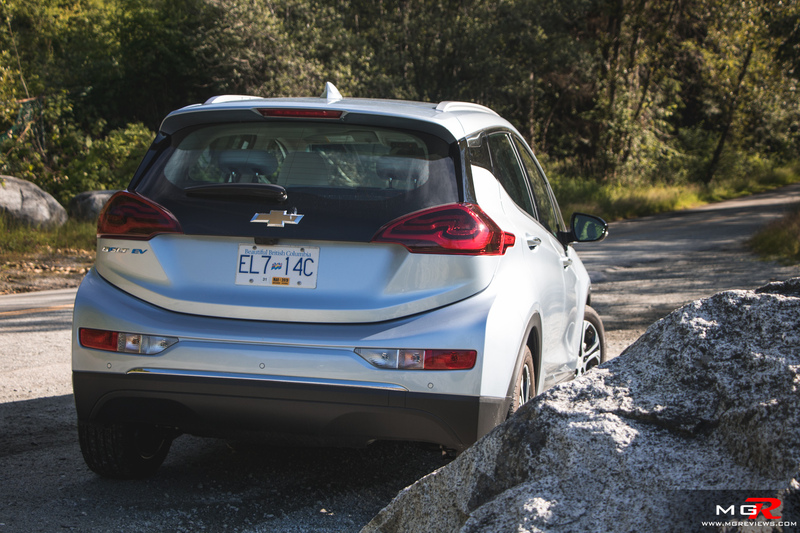 Brakes – Like many other EVs and hybrid vehicles, the 2018 Chevrolet Bolt has regenerative braking. When you gently apply the brakes, the car uses the electric motor as a generator to convert the vehicle’s momentum into electricity. Stomp harder on the brake pedal, and the 4 wheel disc brakes engage to bring the car to a stop. 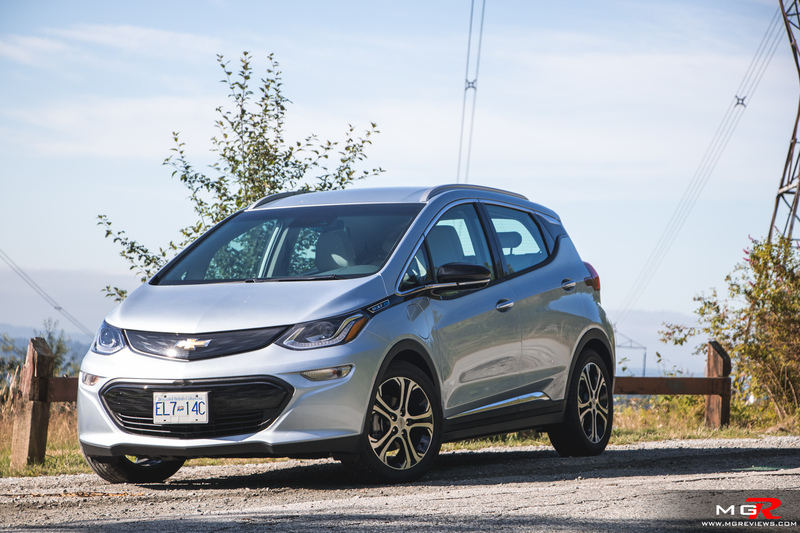 The brake fee and modulation is better on the Bolt than many other EV and hybrids. 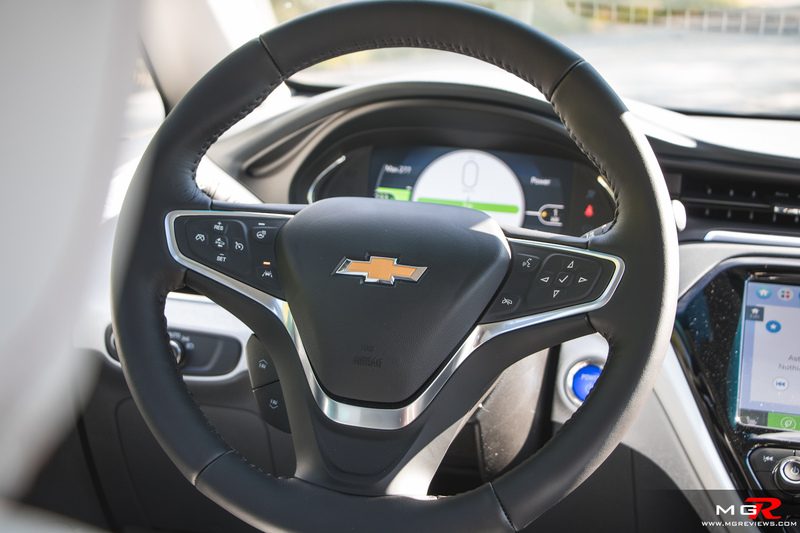 You can also drive the Bolt with just the accelerator pedal by putting the gear selector into “L” and that activates a very aggressive regenerative braking feature that will bring the car to a stop without needing to touch the brake pedal. Handling – Apart from a Tesla or the Rimac Concept One, EVs are not as fun to drive as their gas guzzling counterparts. 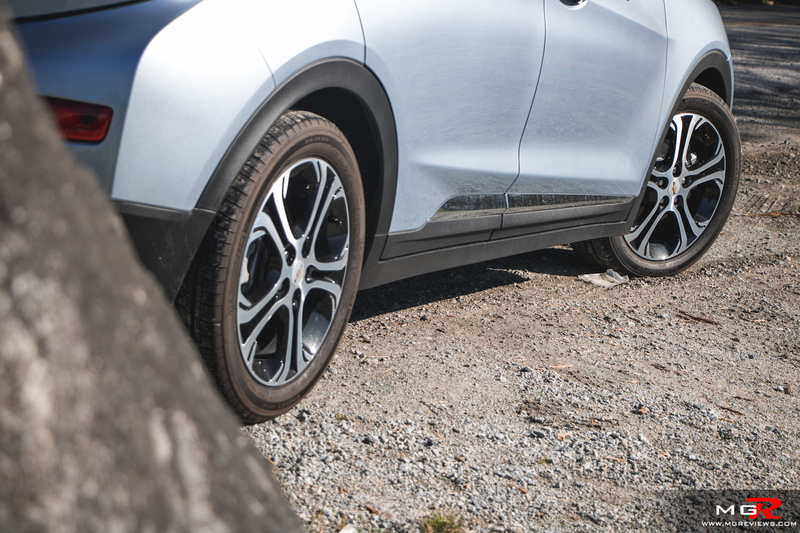 The heavy batteries and the eco tires that they usually come equipped with hamper their performance around corners. 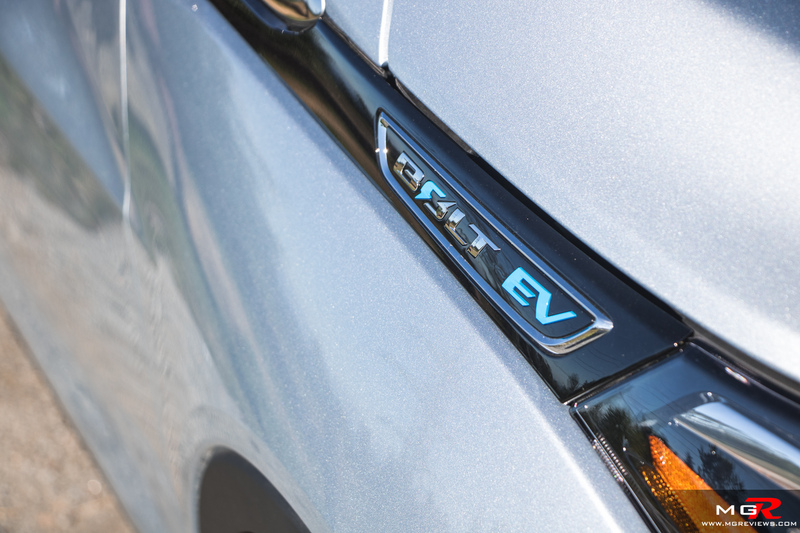 The Chevy Bolt is …. no exception to this BUT it is better than other EVs. Due to the batteries being mounted in the floor of the car, the center of gravity is low. This aids the Bolt in reducing body roll through corners and more or less distributing the weight evenly over the front and rear wheels. 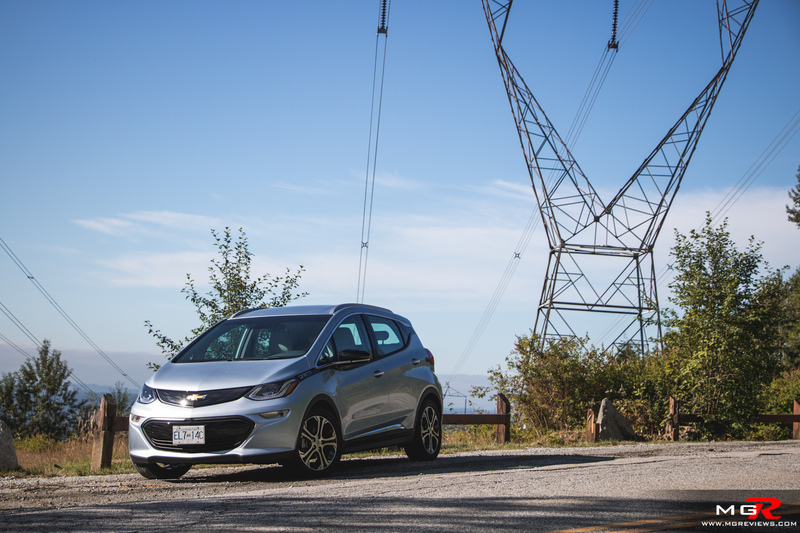 It doesn’t handle as well as a lighter, gasoline powered hatchback but for an affordable EV, it is pretty good. 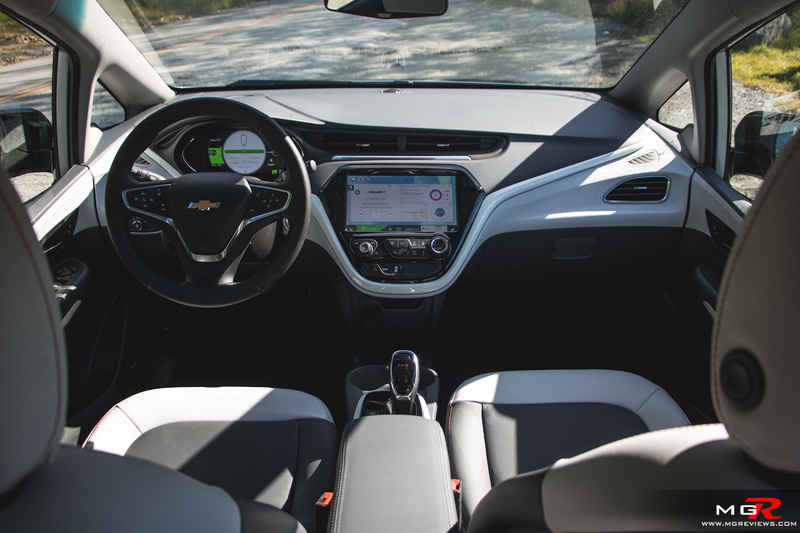 Ride Comfort – The Chevy Bolt is an overall comfortable vehicle. The suspension soaks up bumps quite well but over large undulations in the road, the suspension does feel like it’s reaching it full extent due to the extra weight of the batteries. Seat comfort is ok. The side bolsters are very small and you feel like you’re just sitting on them rather than in them. But they have enough cushioning for long trips. Noise, Vibration, & Harshness – This is an electric vehicle’s party piece, being as quiet as it’s possible. At slow speeds the most noise that you’ll hear is a low hum coming from the electric motor. 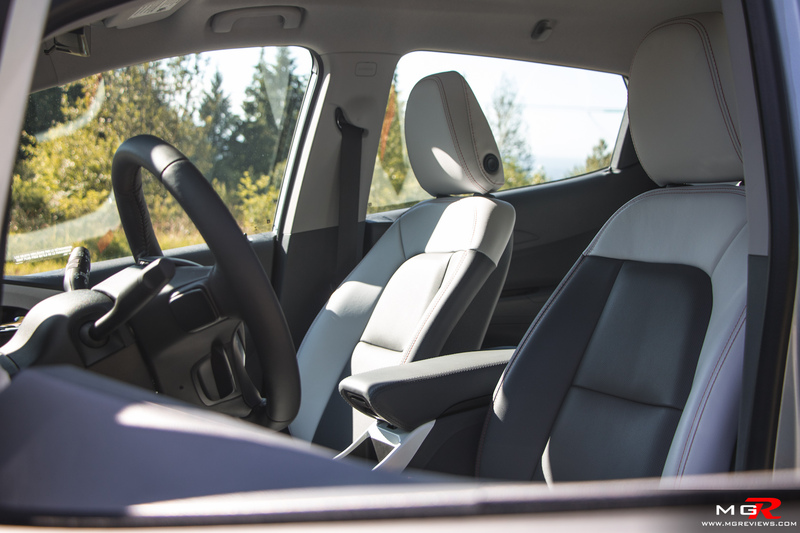 On a highway, there is a little bit of wind and tire noise but that’s to be expected and it’s not overly deafening or intrusive into the cabin. Interior Design – The interior is simplistic in its design. 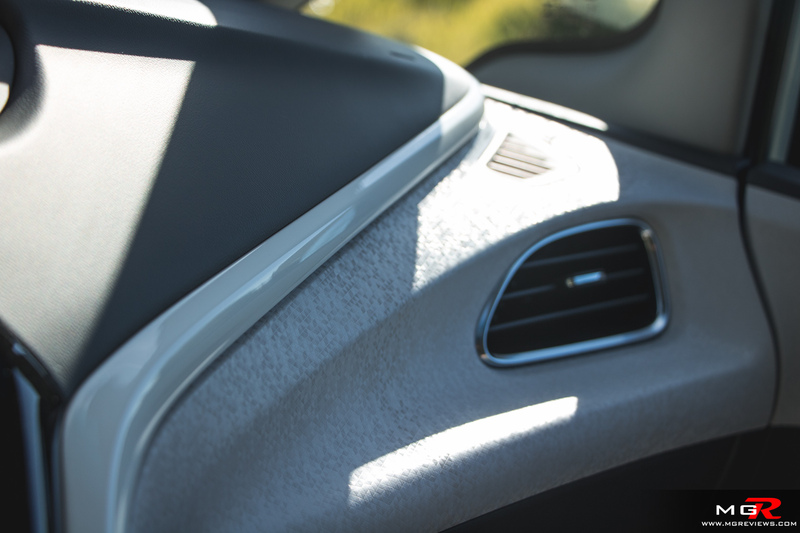 A big 10.2” touch screen in the predominant feature on the dashboard with simple to us and understand climate control buttons underneath it. The design of the dashboard has a lot of slowing lines which makes it appealing to look at. Unfortunately it’s not as appealing to touch as the materials feel cheap. 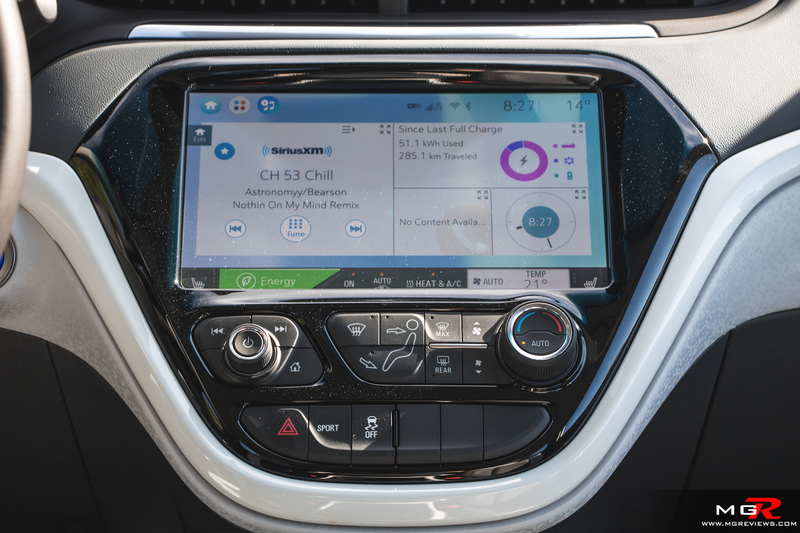 Gadgets – If you opt for the Premier trim, you get the Chevrolet Bolt with a lot of convenience and safety features. Collision warning with emergency automatic braking, blind spot sensors, lane departure warning, 360 surround cameras, satellite radio, Apple CarPlay and Android Auto, heated seats, heated steering wheel, and so on. One unique feature to the Bolt is the rearview mirror camera. If you flip up the rearview mirror, it turns on a rear facing camera which allows for an unobstructed view of what’s behind you. I tried to use this feature but it takes some getting use to. Your eyes are focused on what’s down the road and when you look in the mirror with this feature activated, there is no depth of field. So your eyes have to momentarily adjust which can become straining over repeated use. 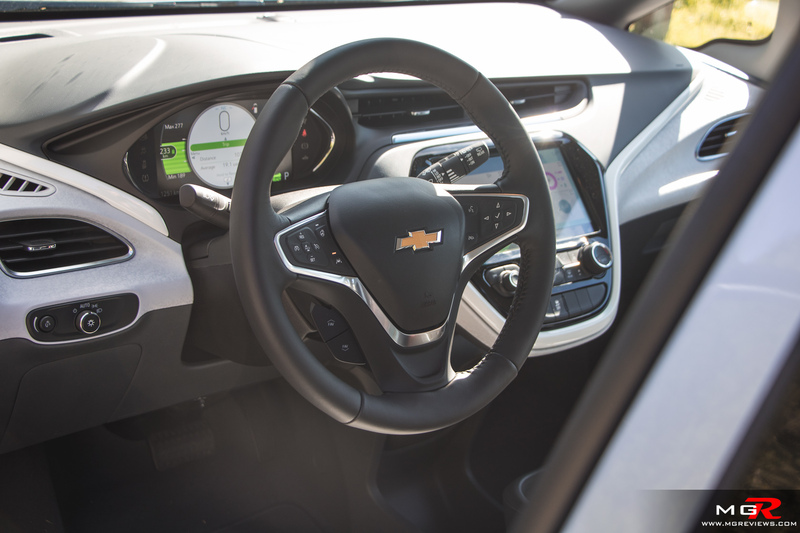 Exterior Design – The 2018 Chevrolet Bolt was designed to not only offer a good amount of interior space but also have an efficient and aerodynamic shape. 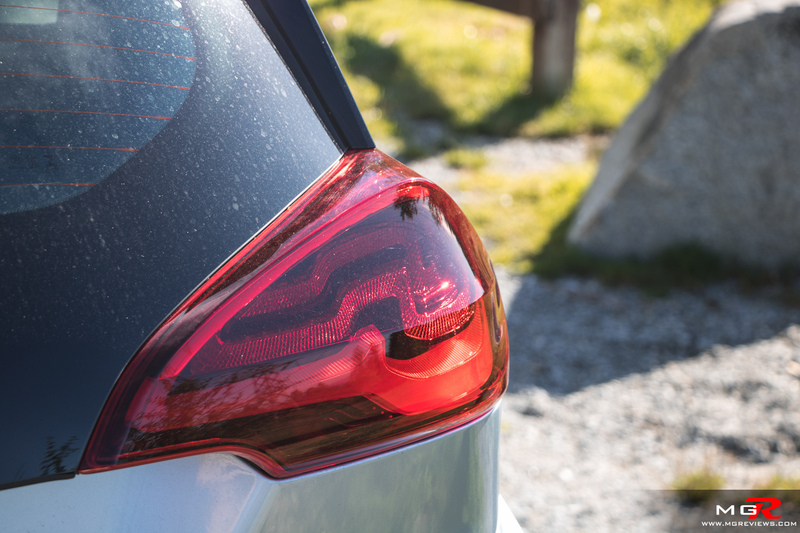 That’s why it does not look like any traditional hatchback vehicle. I think it looks ok and the taller roofline makes it very easy to get in and out of. 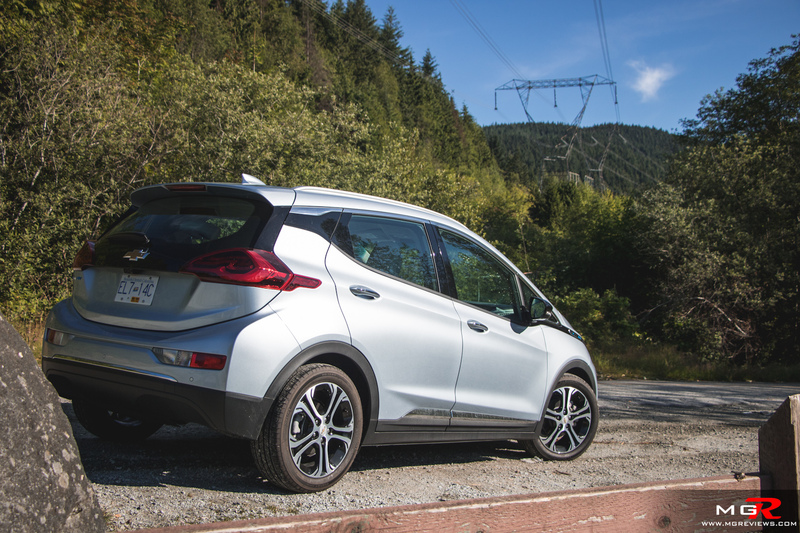 Overall the 2018 Chevy Bolt is a good attempt by GM at bringing an affordable and long range electric vehicle to the market. 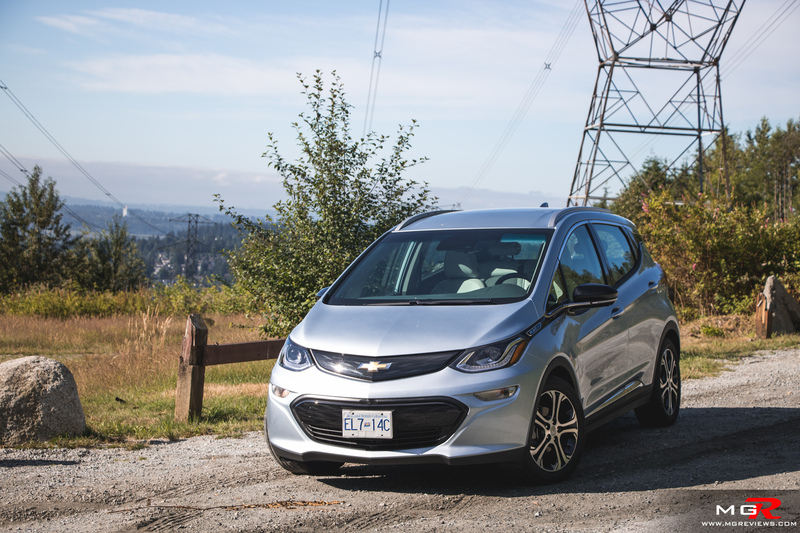 With a starting price of $44,300 CAD and $49,300 CAD for the as tested price, it may not seem that affordable but depending on which province you’re in, you could receive up to $8,000 in government rebates. With fuel prices constantly going up, it is likely that you’ll be saving a lot of money on fuel bills in the years to come with an electric vehicle.